Fast charging is very important for electric vehicles," said battery scientist Daniel Abraham of the U.S. Department of Energy's (DOE) Argonne National Laboratory. ? "We'd like to be able to charge an electric vehicle battery in under 15 minutes, and even faster if possible." The principal problem with fast charging happens during the transport of lithium ions from the positive cathode to the negative anode. If the battery is charged slowly, the lithium ions extracted from the cathode gradually slot themselves between the planes of carbon atoms that make up the graphite anode—a process known as lithium intercalation. But when this process is sped up, lithium can end up depositing on the surface of the graphite as metal, which is called lithium plating. ? "When this happens, the performance of the battery suffers dramatically, because the plated lithium cannot be moved from one electrode to the other," Abraham said. According to Abraham, this lithium metal will chemically reduce the battery's electrolyte, causing the formation of a solid-electrolyte interphase that ties up lithium ions so they cannot be shuttled between the electrodes. As a result, less energy can be stored in the battery over time. To study the movement of lithium ions within the battery, Abraham partnered with postdoctoral researcher Koffi Pierre Yao and Argonne X-ray physicist John Okasinski at the laboratory's Advanced Photon Source, a DOE Office of Science User Facility. There, Okasinski essentially created a 2Dimage of the battery by using X-rays to image each phase of lithiated graphite in the anode. In the study, the scientists established that the lithium accumulates at regions closer to the battery's separator under fast-charging conditions. "You might expect that just from common sense," Abraham explained. ? "But by seeing exactly how the lithium is distributed within the electrode, we're gaining the ability to precisely determine the inhomogeneous way in which a battery ages." 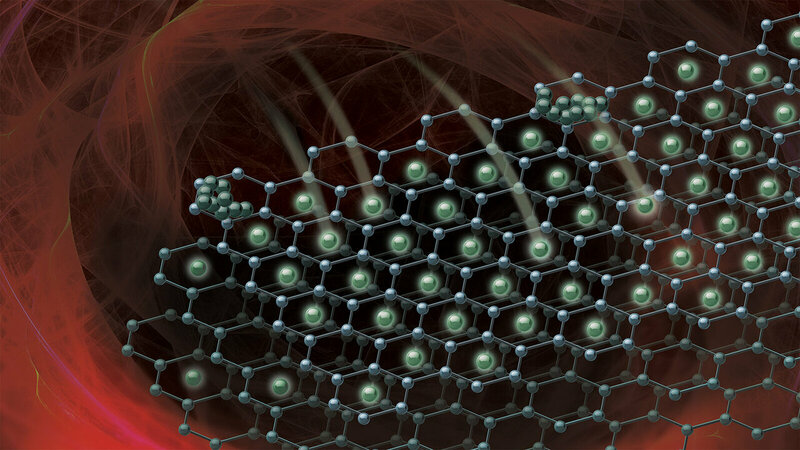 By using X-rays, Argonne's scientists were able to determine the crystal structures present in the graphite layers. 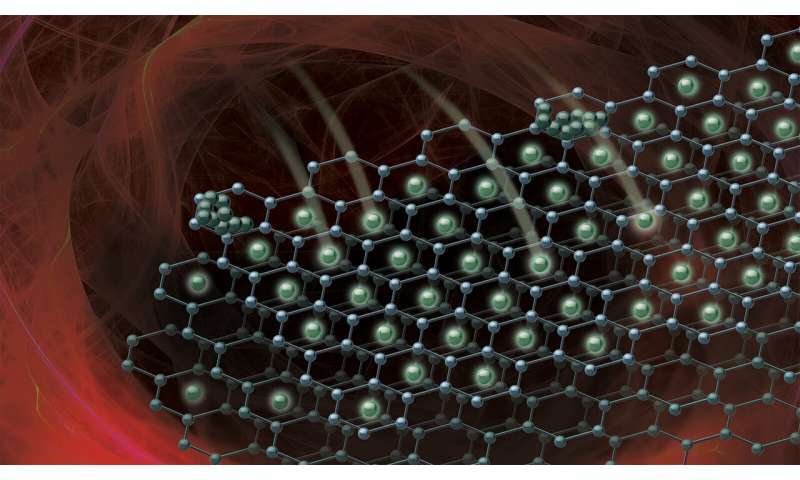 Because graphite is a crystalline material, the insertion of lithium causes the graphite lattice to expand to varying degrees. This swelling of the layers is noticeable as a difference in the diffraction peaks, Okasinski said, and the intensities of these peaks give the lithium content in the graphite. A paper based on the study, ​"Quantifying lithium concentration gradients in the graphite electrode of lithium-ion cells using operando energy dispersive X-ray diffraction," appeared in the January 9 online issue of Energy and Environmental Science.